Can Lawyers Cite Social Media Posts in a Court of Law? Home » Can Lawyers Cite Social Media Posts in a Court of Law? 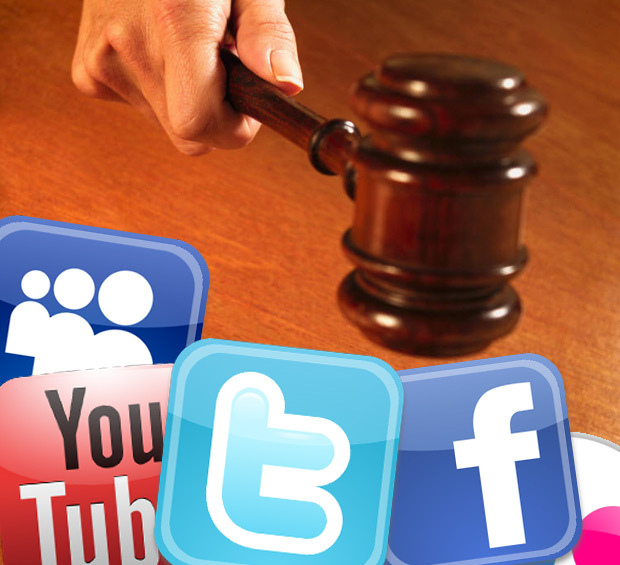 Home » Infographics » Can Lawyers Cite Social Media Posts in a Court of Law? What you post on social media, especially if your accounts are private, no one else should be able to access them unless you let them—right? Not so fast: Turns the use of and limits on social media in the judicial arena is an ever-evolving section of the law. That’s because there’s no one case that has provided guidance for lower courts, so each ruling is generally done on a case by case basis. Information has been requested that’s stored electronically, to be used in evidence gathering or to try to figure out what’s useful to a lawsuit or court case. The connection of the communication to the case, or its relevance, is actually something to carefully consider. That’s been a guideline for courts to grant access. Specificity has been called out by some rulings, too—requests that are too broad, for example, may shield the information. To get an idea about recent court history related to social media posts and images, review below infographic prepared by Vound Intella Inc and Ghergich & Co. —and know that the future may hold great changes, too.